Make on-trend morganite a staple in your collection! 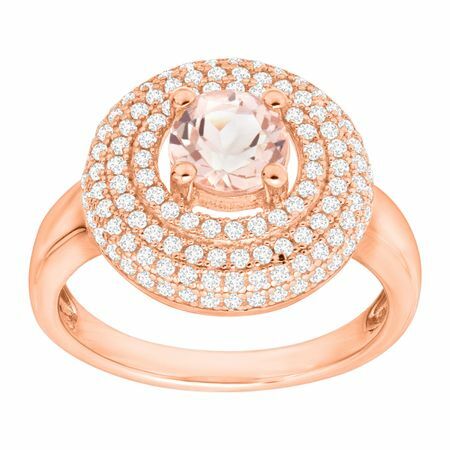 Crafted in 18K rose gold-plated sterling silver, a 5/8 ct round-cut natural morganite sits in the center of a halo of round-cut white cubic zirconia, set atop a simplistic band. Ring face measures 1/2 inches in width.